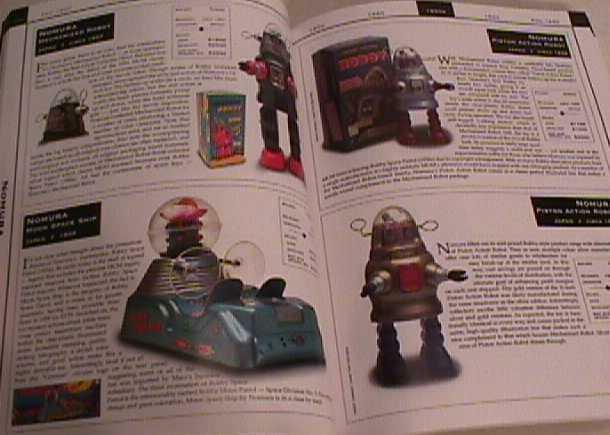 Here is a great "Space Toy Book" for that special toy collector out there! 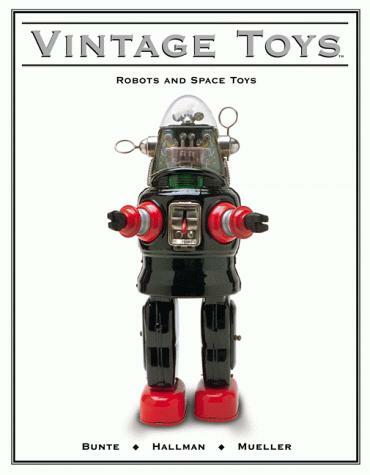 This book focuses on Robots & Space toys manufactured from World War I through the 1970's. 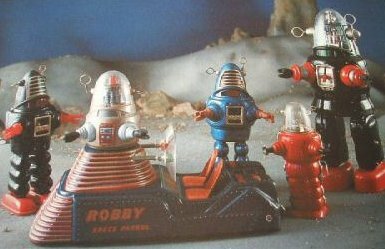 Broken down by decades by American, British, French, German, & Spanish Robots & space toys are featured, but special coverage is given to the creative Japanese tin toys that flourished after World War II. More than 300 different items are illustrated & profiled. For each, a description of features, variations, manufacturer & place in history is provided, along with up-to-date collectors values. Contents include 500 beautiful full-color photos & encyclopaedic details & current pricing for 300 historic toys.